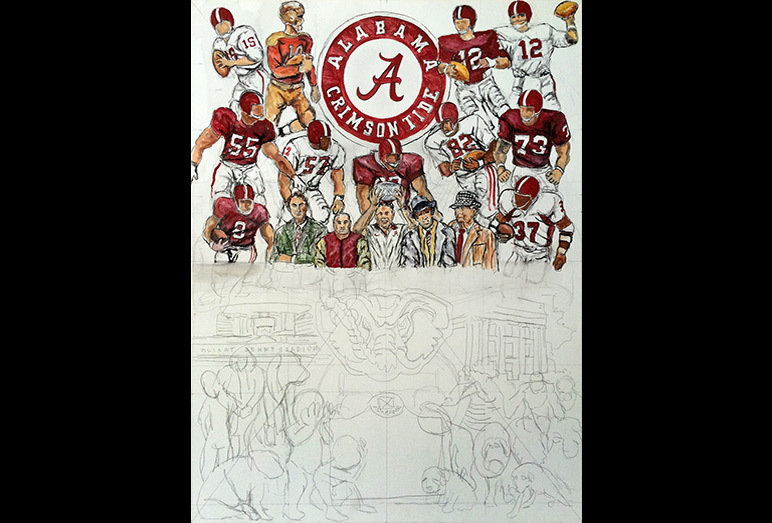 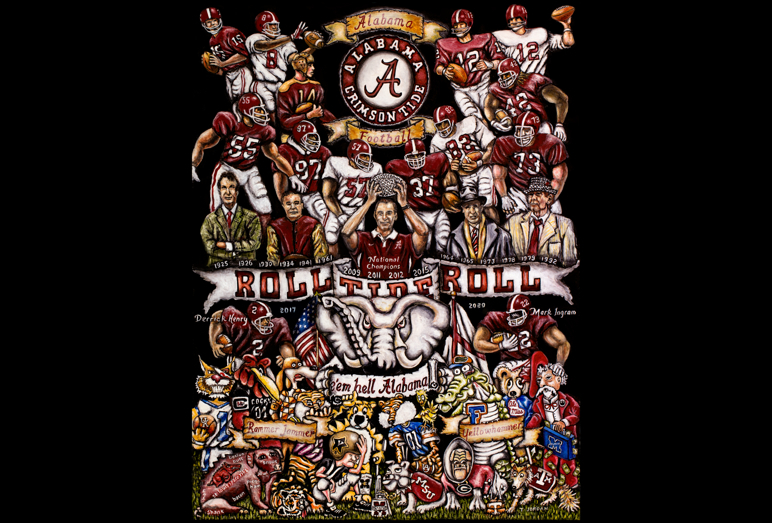 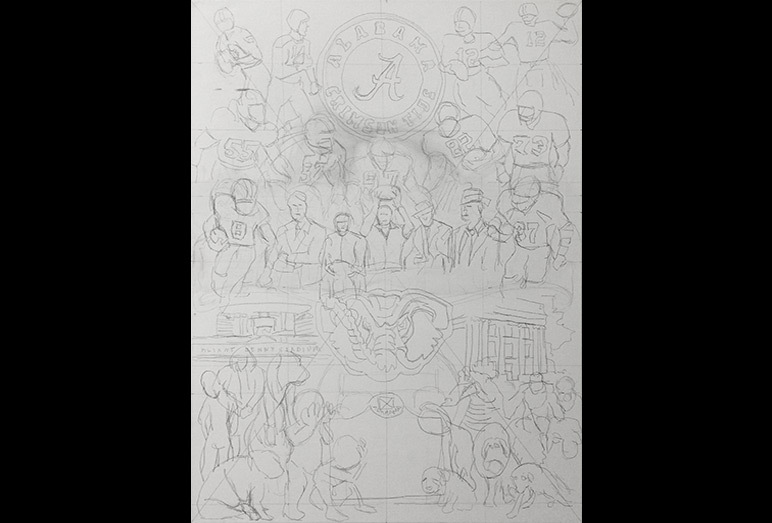 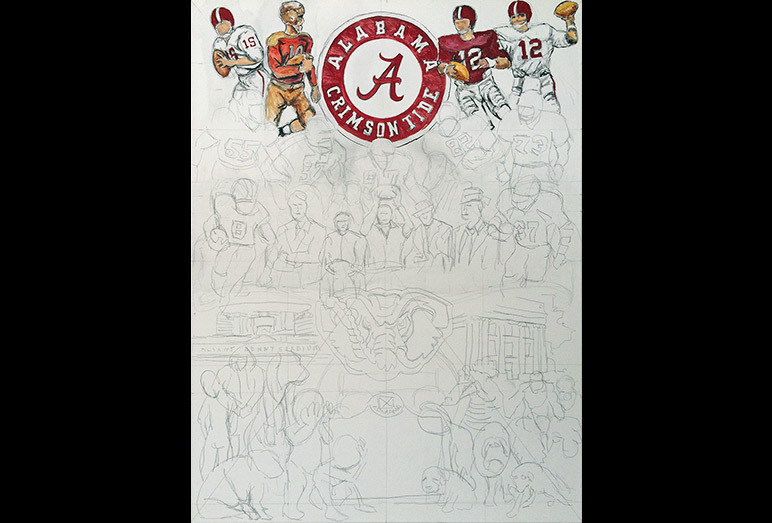 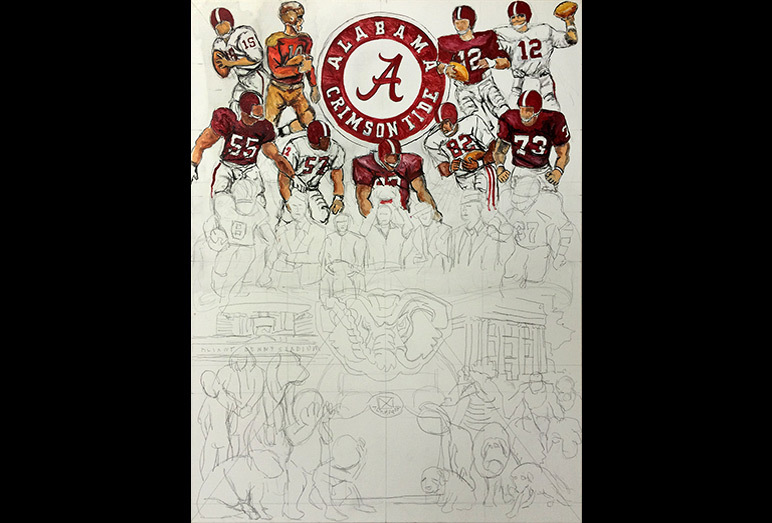 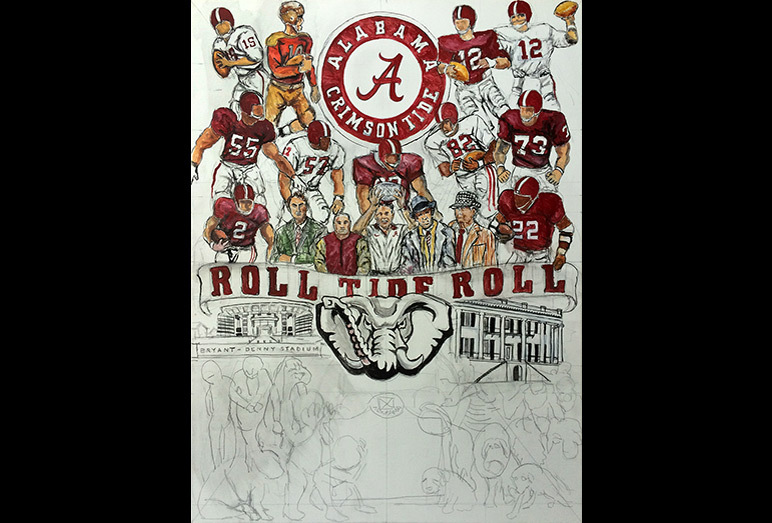 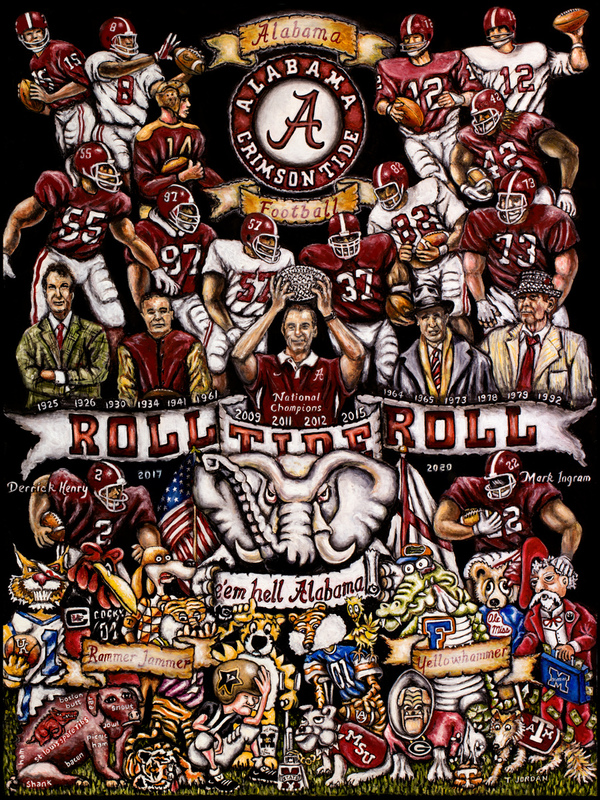 Tom has completed a commissioned tribute painting and very exciting project for all Alabama Crimson Tide football fans. 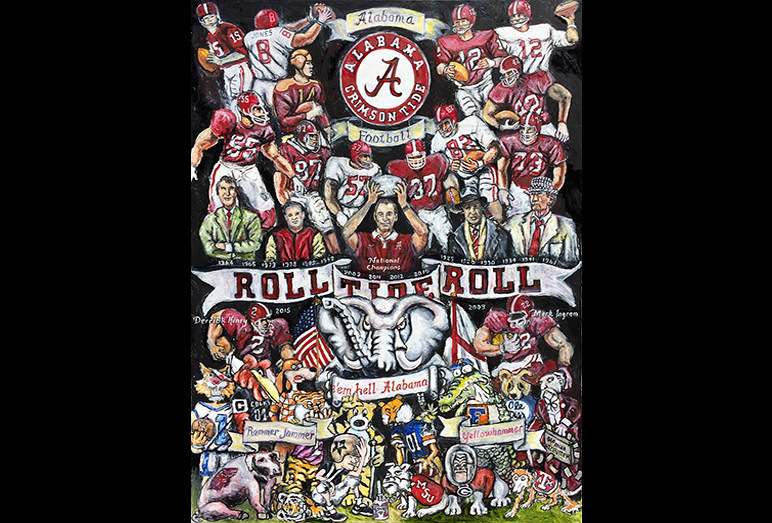 Alabama Tribute is a compilation of everything great about Alabama football past and present. 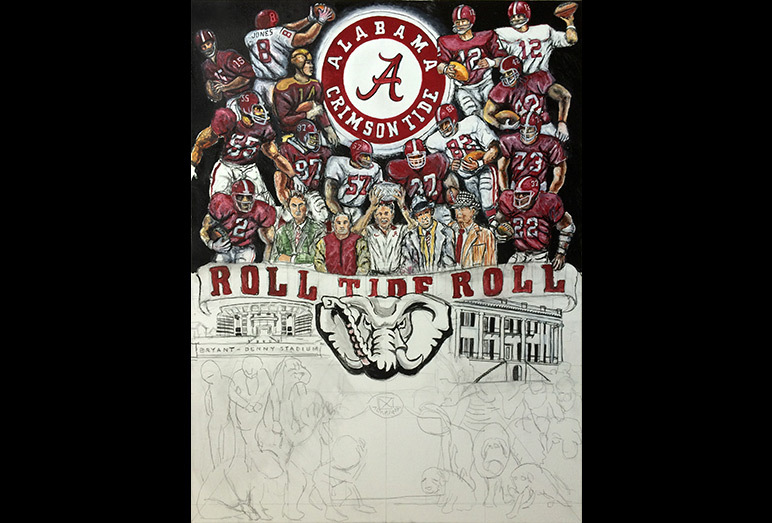 Scroll down to view painting profile views. 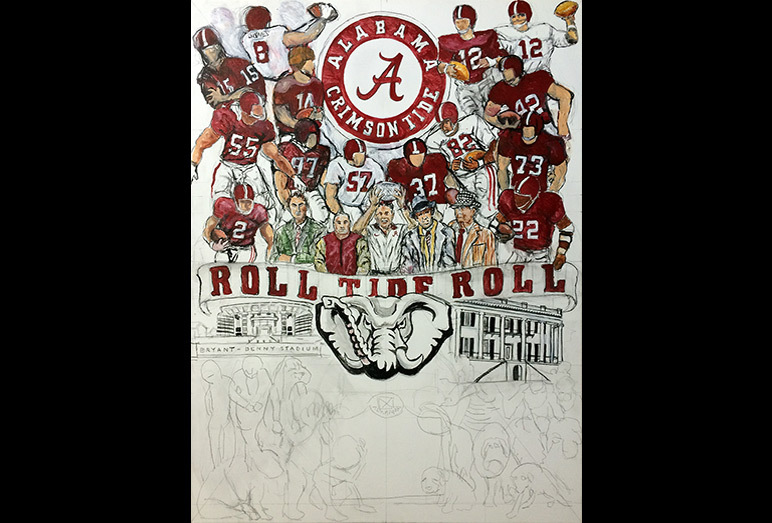 Alabama Tribute -- Painting profiles -- Use controls to view all images. 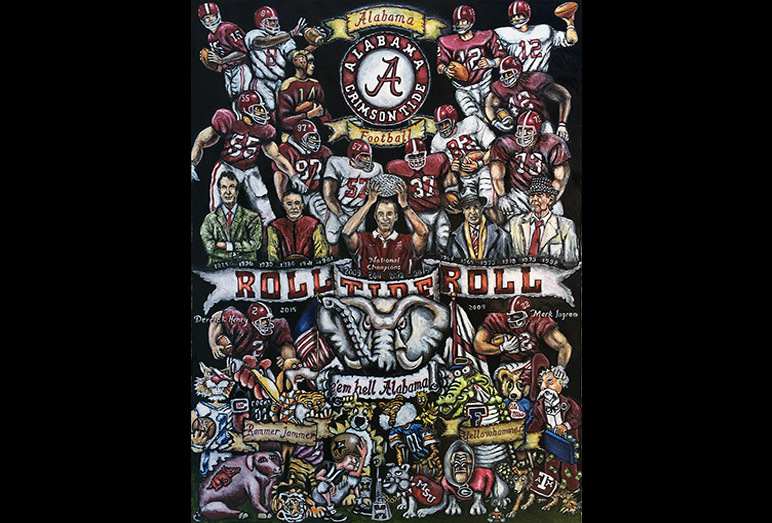 Leave a comment and let me know what you think of my Alabama Tribute painting.